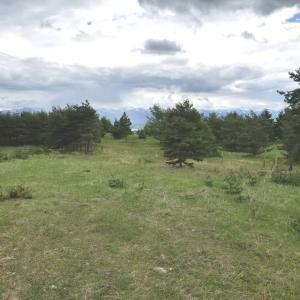 Scotch Pine, Blue Spruce, Wheat Spruce,and Fir trees surround the entire perimeter of this native lot, with new starts of russian olive coming on, and septic approval in place. Lake views can be expanded with more thinning, and a second story home built here would enjoy lake and mountain views for a number of years. The tree screen provides an insulated forest grove with notable privacy. Bring your builder and build your Montana ''dream home'' here! Stick built only!